This follows an agreement with the International Olympic Committee, Japan's Reconstruction Agency and the three prefectural authorities. The planned display is based on the concept that the Olympic Games should aid reconstruction in disaster-hit areas of Japan. It will align with the Tokyo 2020 Olympic Torch Relay concept "Hope Lights Our Way" in what will be the 10th year since the Great East Japan earthquake. Tokyo 2020 will exhibit the Olympic flame, which will be lit in Greece, in the three most affected prefectures for two days each from March 20 to 25. This is with the aim of giving the public in those areas the best opportunity to view it before the start of the Torch Relay. The Torch Relay itself is due to begin at the National Training Center J-Village in Fukushima on March 26. It will pass through all 47 prefectures in Japan over 121 days, giving these a chance to showcase what Tokyo 2020 describes as their "diverse cultural and scenic attractions". The flame will arrive from Greece at Matsushima Airbase in Miyagi on March 20, when it will be displayed at Ishinomaki Minamihama Tsunami Recovery Memorial Park. The Minamihama district of Ishinomaki city lost 400 of its inhabitants to the tsunami and the spread of fire, and part of the site will be completed in March 2020 as a memorial and as a symbol of reconstruction. The flame will then move to Sendai Station East Exit on March 21 before being displayed the following day aboard the Sanriku Railway line and the SL Ginga Steam Locomotive Express between Miyako, Kamaishi and Hanamaki stations in Iwate. On March 23, it will be visible at the Kyassen Ofunato retail and entertainment complex in Iwate prior to going on display at Fukushima Station East Exit on March 24. The East Exit is located in the centre of Fukushima city, the prefectural capital, and home to the Azuma Gymnasium. A total of 110,000 people were evacuated to the Azuma Gymnasium in 2011, and the city became a major support base for survivors of the earthquake and tsunami. 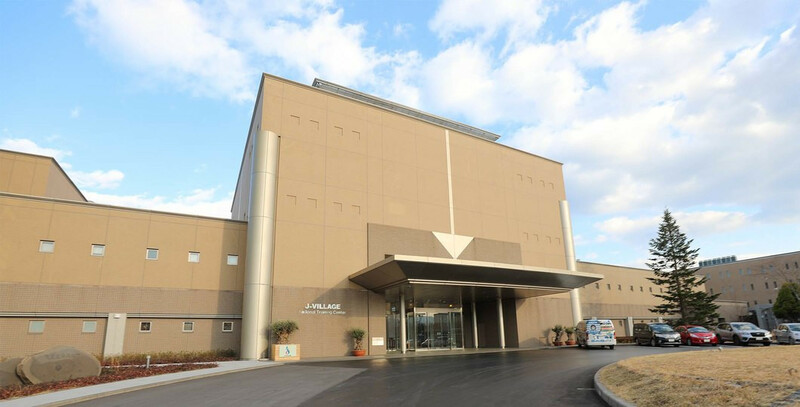 The flame will then visit Aquamarine Park, a base for sightseeing and cultural exchange in Iwaki and the location of the environmental aquarium "Aquamarine Fukushima" and the Tourism and Commerce Center "Iwaki La La Mew". "Aquamarine Fukushima" was badly hit by the Great East Japan Earthquake and became a symbol of reconstruction of Iwaki upon its re-opening in July 2011. The Japanese leg of the Tokyo 2020 Torch Relay will then commence at the National Training Center J-Village, which straddles the towns of Naraha and Hirono in Fukushima. In 1997, the J-Village complex was opened as Japan's first national football training centre. After its opening, Japan's national football team had taken advantage of the facility for its training camp. However, in the aftermath of the Great East Japan earthquake and tsunami, the facility was forced to cease operations, and had been used as a support base for the nuclear power plant accident. The facility has undergone a remarkable recovery and resumed its operation as a symbol of reconstruction, with a newly-established annex building and an all-weather training field. "I hope the reconstruction will continue to progress steadily, and that when the Olympic flame is lit in Greece exactly one year from today, on March 12, 2020, it will be a source of hope for many people, marking as it will the first step into the 10th year since the earthquake," Tokyo 2020 President Yoshirō Mori said.